1. Golf! Harbour Town Golf Links, with its iconic 18th hole featuring the Harbour Town Lighthouse as a backdrop, is home to South Carolina’s only PGA TOUR event, the RBC Heritage Presented by Boeing. 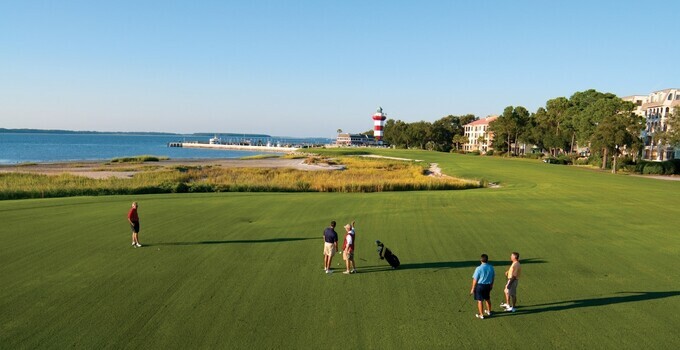 Heron Point by Pete Dye was named the 2015 “Golf Course of the Year” by the South Carolina Golf Course Owners Association. And, the new Atlantic Dunes by Davis Love III course opens to the public on Oct. 3. 2. Tennis and more tennis! The Lowcountry destination features 21 clay courts and a wide selection of teaching clinics, instructional programs, and tennis vacation packages. The resort is also the home of the Smith Stearns Hilton Head Tennis Academy, which works with promising junior and young professional players on an individual level. TENNIS Magazine calls The Sea Pines Racquet Club one of America’s top destinations and it has been ranked “No. 1 for Tennis Programs” by the publication. Registered resort guests receive two hours of complimentary tennis per day. 3. Eat well! 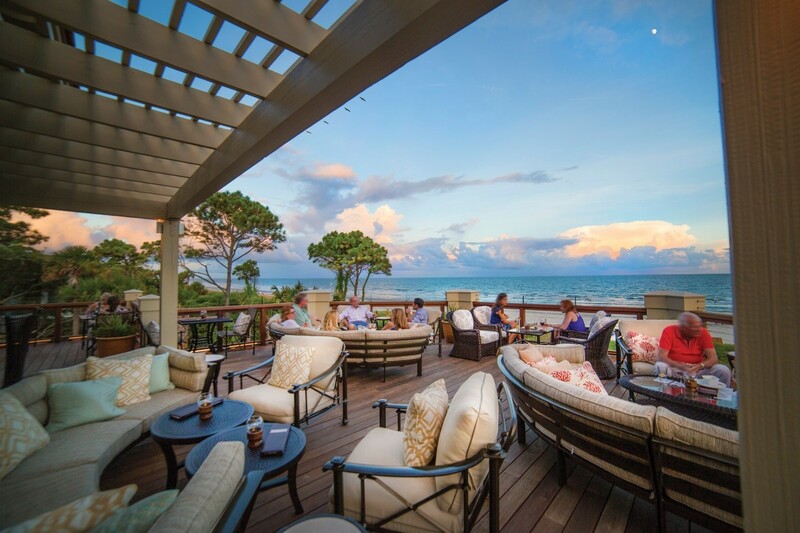 The Sea Pines Resort offers a diverse selection of dining options to satisfy all palates. Visit the Harbour Town Bakery & Café for a home-cooked breakfast or to treat the kids (or yourself!) to baked goods like croissants, muffins, sticky buns or jumbo cookies. Head to Live Oak at The Plantation Golf Club for Lowcountry-inspired cuisine and locally sourced produce and products. The 35-foot rotunda ceiling and floor-to-ceiling windows provide incredible 270-degree vistas. Located in the Harbour Town Clubhouse, Links, an American Grill, offers world-class cuisine overlooking the picturesque and stunning landscape of one of America’s greatest golf courses. For casual dining, Harbourside Burgers & Brews, open seasonally, is a friendly open-air café featuring captivating views of Calibogue Sound. 4. Ride bikes! With a temperate climate and no shortage of natural shade, The Sea Pines Resort is ideal for biking. In fact, The League of American Bicyclists named it a “Bicycle Friendly Community.” All the major activities within the property are connected by a 15-mile network of leisure paths, which means your cruiser can serve as your main form of transportation during your stay. The Sea Pines Resort Bicycle Shop offers discounted rates on bicycle rentals for registered guests of the resort. 5. Hit the beach! What’s a Hilton Head vacation without a trip to the beach? The Sea Pines Resort offers five miles of Atlantic Ocean beach for fun in the sun. The full-service Sea Pines Beach Club is world-class. Dining options include Coast, Ocean Lounge, Atlantic Room and Surfside Market. The Surf Shop has everything needed for a family day at the ocean. 6. Explore Harbour Town Yacht Basin! This is the hub for watersports from kayaking to paddle boarding, fishing to parasailing. It also offers a variety of shopping and dining options (and multiple ice cream shops). While you’re there, don’t forget to take a tour of the iconic Harbour Town Lighthouse. 7. Horseback Riding! The whole family can enjoy a trip to Lawton Stables, which offers trail rides for adults and children ages 8 and older and pony rides for the younger children. It also has an animal farm for everyone to enjoy together.